If you were to point your attention inward, you would find there is an arising spring of energy: thoughts, emotions, images, memories, ideas, insights, dream snippets, and bodily sensations continue to be born. You might notice that there is a fountain of energy forever emerging within you. Step away from the content of your thoughts and see that thoughts themselves continue to come into existence. See that your inner experiences are forever being born. You could say that there is a fountain of energy ceaselessly emerging from within. This Fountain, this Life energy, this power can be the vehicle for spiritual practice. 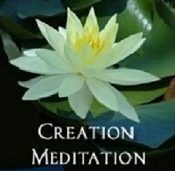 Unlike renouncing the world and pulling away from experience to discover the true nature of existence, the spiritual practice of Creation Meditation invites you to dive right into the heart of Life, into the heart of experience. With this, develop a more intimate (and healthy) relationship with Life, discovering the reverent and sacred nature of this existence. And the more intimate your relationship with the intelligence arising from within, the more intimate your relationship with God. 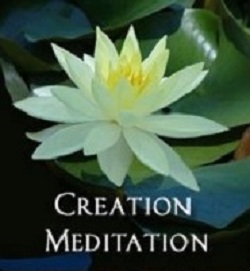 This sacred, inner intimacy facilitates an ever-more conscious participation in the evolution of your life. To learn more, watch the video or click on one of lotuses below.